The Great Recession grabbed a baseball bat and walloped the U.S. luxury car market. Sales plummeted like an incoming NASA shuttle, and profits burned up just as quickly. In September 2008, Autodata noted that total U.S. car sales had dropped 26.6% compared to the year prior. CBS’s Market Watch report, “Luxury Car Sales Fell Sharply in September,” showed that premium marques bore the lion’s share of the disaster. Lexus’ YTD performance was 16.5% in the red, and Land Rover, already burdened with an off-the-cuff sale to Tata Motors, fared even worse. One of the greatest vanishing acts of all time was taking place. In a feat that would challenge Houdini himself, luxury cars of all brands, from Volvo to Jaguar to Cadillac, were evaporating from garages, thanks to subprime mortgages and high-flying Wall Street “quants” who played dice with billions like poker, ignorant that the game was actually roulette. The economic effects ricocheted around the nation, a life-and-death game of pinball. Occupy Wall Street and Tea Party conservatism pointed accusing figures at the well-to-do. The stock price of pedestrian peanut butter jumped. To rescue auto manufacturers from the proverbial Locker and preserve domestic jobs, the U.S. government scraped up a bucket of cash. General Motors received $13.4 billion from George W. Bush and a later $39 billion from Barack Obama. Pundits hoped the influx of cash would spur domestic car companies’ recovery. Four years after Wall Street imploded and the effects vibrated across the cobwebs of the financial world, the automobile industry has revived. Domestic and foreign auto manufacturers, in particular Ford, Daimler and Fiat, are now posting billions of dollars in revenue. Yet even though the market of all finer four-wheeled things has staggered back to equilibrium, the Recession left a sizable dent in its pate. Luxury car sales still trail their ghosts, and the future remains shrouded. However, across the Atlantic and another ocean or two, things fare quite well. Sections of the Middle East and China are doing quite well and are largely responsible for resurrecting the failing luxury car market. China has proved remarkably resilient to the effects of the North American and European recession, posting an astronomic 2011 GDP growth rate of 9.2%, according to Annalyn Censky’s 2011 CNN report, “China’s Economic Growth Eases.” In contrast, America posted a measly 1.7%. Meanwhile, in Dubai, the flagship emirate and city for the United Arab Emirates, the skyline rises ever higher. Although Dubai’s economy took a downturn in the late 2000s, the oil-swilling city continues to boast the highest skyline in the world, sell private, man-made Palm Islands and build Brobdingnagian shopping malls. According to the CIA World Fact Book, Dubai has a higher 2011 GDP growth (3.3%) and slightly higher GDP per capita ($48,500) than the United States, which is currently ranked as the world’s largest economy, sans China’s probable surpassing. Why is it that the wealth of the rich often manifests itself in sleek sheet metal and sonorous V12 engines? There are obvious reasons like teeth-cleaning acceleration for adrenaline addicts and opulent accommodations for would-be kings of Sybaris, hand-polished wood trim and self-parking systems. Yet a luxury car is more than the sum of its parts. It is a status symbol, a marker of financial success and a public promise of trust in one’s future. Either benevolently or aggressively, luxury cars are designed to notify the world that the driver can ignore proletariat issues like recessions and PBJ’s. A prosperous banker in Dubai must re-diversify the corporation’s portfolio because a clueless economic whiz played dice with NINA loans. Rolls-Royce has its best performance in 107 years while American Joe Sixpack stares blankly at his checkbook, a single tear falling from his careworn face onto the cold, ruthless numbers. Yet unlike an Anderson fairy tale, this hard-edged story has no set ending, happy or sad. This is the story of money and greed, why fast cars sell slowly and why people profit in the midst of poverty. There is always an epilogue, always new words. Josh Perkins is an experienced car insurance broker who specializes in high-risk coverage. 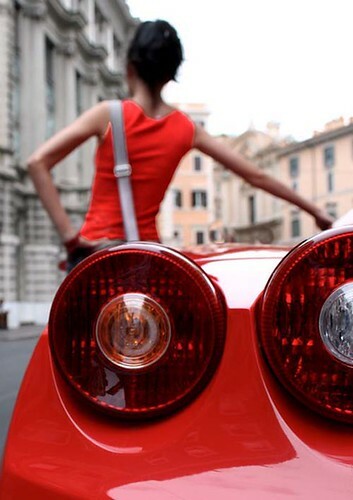 If you find yourself in a place where you need to aquire exotic car insurance try Kanetix.